This true story reminds me how easily our proud nature deceives us with the false sense of safety and tendencies to forget that in this dark, selfish, full of dangers, cancer, heart attacks, strokes, accidents, calamities, and death world there is no safe place. The true peace and sense of safety can’t be found also in any amount of money, medications, genetic engineering, nor any human power or resources, simply because we can’t escape death. 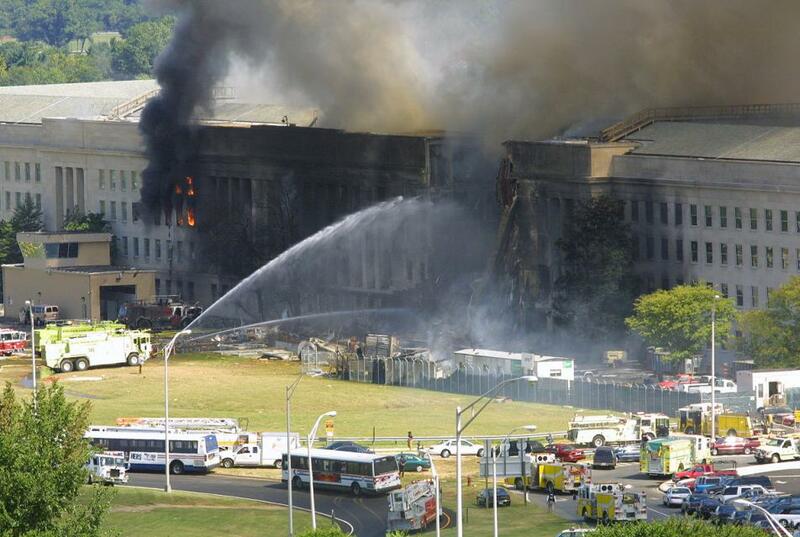 Our safety cannot be found in any man-made place nor even in the finest modern nuclear shelters. Instead, it can be found in a person. And the only person who can guarantee the true safety, immortality, and inward peace is Jesus Christ who says, “I am the way and the truth and the life. No one comes to the Father except through me” (John 14:6); “If you abide in my word, you are truly my disciples, and you will know the truth, and the truth will set you free” (John 8:31, 32); “Come to me, all of you who are tired from carrying heavy loads, and I will give you rest” (Matthew 11:28, GNB). It means that Jesus Christ is the only way to freedom from condemnation, eternal death, and fear. Only when we carefully and prayerfully study His Word we can ‘know the truth’ (the Good News of the Gospel), and as soon as this truth is properly accepted, it sets us free (John 8:32). Only when we come to Jesus with our ‘heavy loads’ (fears, condemnation, remorse, stress, depression, anxiety, moral weakness, etc.) we will finally find ‘rest’ for our soul (true inward peace, salvation, and freedom from sin, condemnation, fear, and death). “Whoever goes to the Lord for safety, whoever remains under the protection of the Almighty, can say to him, ‘You are my defender and protector. 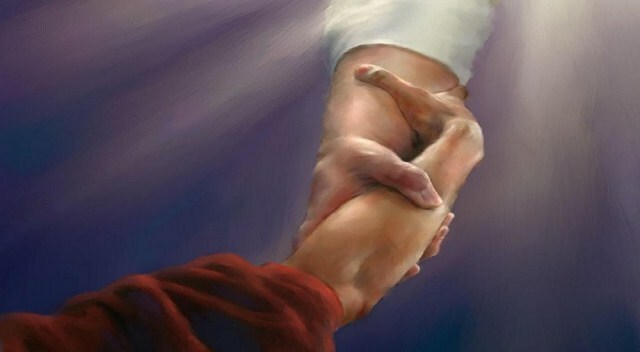 You are my God; in you I trust.’ He will keep you safe from all hidden dangers and from all deadly diseases. He will cover you with his wings; you will be safe in his care; his faithfulness will protect and defend you. You need not fear any dangers at night or sudden attacks during the day or the plagues that strike in the dark or the evils that kill in daylight. A thousand may fall dead beside you, ten thousand all around you, but you will not be harmed. You have made the Lord your defender, the Most High your protector, so no disaster will strike you, no violence will come near your home. God will put his angels in charge of you to protect you wherever you go” (Psalm 91:1-14, GNB). “Since the children have flesh and blood, He (Christ) too shared in their humanity so that by His death he might destroy him who holds the power of death – that is, the devil – and free those who all their lives were held in slavery by their fear of death” (Hebrews 2:14, 15). The only way to freedom from existential fears, especially from the death anxiety, is through accepting by faith what God has already done for us in the holy history of His Son’s life and death: “I tell you the truth, whoever hears my word and believes him who sent me has eternal life, will not be condemned; and has crossed over from death to life” (John 5:24). In this article I want to present to you the most wonderful truth which in the lives of many people all over the world, including my own, became the source of constant peace and freedom from fear and slavery to sin. But, since the problem of our present spiritual condition can be compared to a malignant incurable cancer also the described here solution to our condemned spiritual and moral corrupt state requires an extensive and complex answers. For this reason it may appear to you a bit hard to go through the entire content of this long article. But please do not give up and try to put some more mental effort in attempt to properly understand this most precious message, contemplating every sentence and repeatedly reading each of the separate sections. As a reward for your patience you will find here a unique and strong motivation, excellent source of moral and spiritual empowerment as well as the best and most pleasing food for your mind and soul able to satisfy the inward feeling of emptiness and spiritual hunger. As a bonus you will not only gain freedom from fear or victory over the lower natural tendencies and addictions but you will actually become a new and transformed person with higher desires and priorities, with new goals and abilities. And finally, what is also very important, you will be able to enjoy the new and healthy way of living without missing the old one. “Now if I do what I do not want, it is no longer I who do it, but sin that dwells within me. So I find it to be a law that when I want to do right, evil lies close at hand… But I see in my body another law waging war against the law of my mind and making me captive to the law of sin that dwells in me. Wretched man that I am! Who will deliver me from this body of death?” (Romans 7:20-24). Theologians suggest that apostle Paul uses the word ‘law’ because like, for example, the law of gravity, this dwelling in us evil law is always present in us and never gests weak. We can try to deny it for a time using our will power (if it is strong), but because our will power is not a law (it is not a constant and unchanging force) sooner or later it gets weak, and as a result we have to lose the battle with this indwelling constant force, and again do what we don’t want to, or we do it even in spite of the fact that we promised to never do it again. As a result we often feel like a discouraged, powerless, and miserable looser who is unable to carry out his own good will and keep these natural drives and desires, including the corrupt appetite, under control. The fact that by nature we all are contaminated with this ‘law of sin’ inspired apostle Paul to write another following shocking statement: “All (people) have turned away, they have together become worthless; there is no one who does good, not even one” (Romans 3,12). Well, yes, Mahatma Ghandi or mother Teresa and also many other so called ‘good’ people do have many good deeds, but, if they were not born from the Spirit, if while performing their good deeds Holy Spirit didn’t dwell in them with the unselfish God’s agape love, then they were only left with their selfish natures. Therefore, without God’s unselfish agape love they could be only as good as Nicodemus was before his conversion! When Nicodemus, who was known as a noble Pharisee and a very good man who had many good deeds, came to Jesus at night to chat with Him, the Lord immediately shot him down with the same shocking truth. 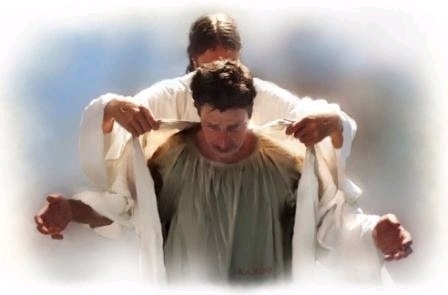 “Nicodemus” – Jesus said, “You can’t save yourself by your own goodness. Yes, you are a good man but only outwardly and according to human standards but not in God’s eyes. You do good things for selfish reasons because you haven’t yet experienced the new birth. 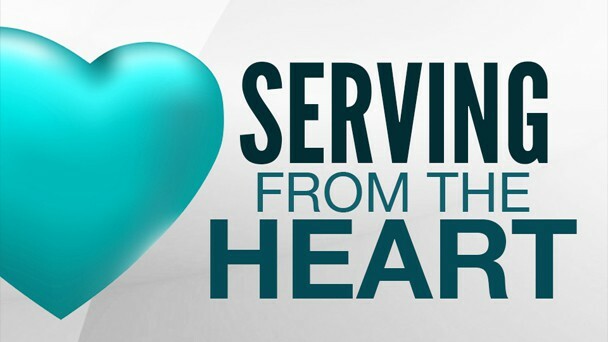 Therefore, if you want to be really good, and do good things with unselfish motivation first you have to be born from the Spirit so that Holy Spirit may dwell in you filling your heart with God’s unselfish agape love” (John 3). Everything a person who hasn’t yet been born from the Spirit possess is only the sinful corrupt nature with its key ingredient which is the law of selfishness invented by Lucifer. It means that whatever we do, even if it is good, we consciously or subconsciously do it for selfish reasons. And, therefore, in God’s eyes it is not a good deed but only a good sin. That is why we need to understand that we all are sinful not only because we repeatedly broke God’s moral commandments, but we are sinful because we are born with the principle of selfishness and because by nature we are deprived of the indwelling presence of God’s love and Spirit. We are sinners not only because of what we do, but especially because of who we are. And that is the main reason why we are condemned by God’s holy and righteous Law and have to die. 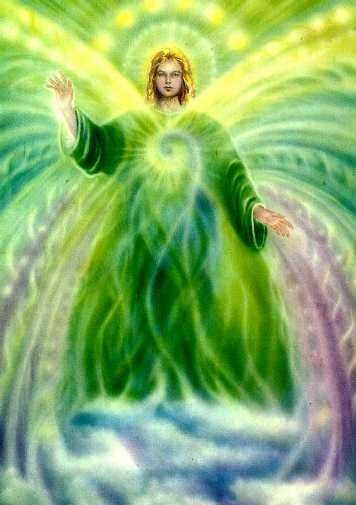 We are already born with the death sentence because the Law of God can’t allow someone who lives according to the principle of self-love, invented by Lucifer, to live forever in the perfectly holy Universe inhabited by countless sinless beings and holy angels. Wise, loving, and righteous God can’t immortalize selfish human beings because selfishness is like a virus which destroys its environment and moves to another, destroys it and again changes its environment repeating this vicious destructive procedure until everything is completely devastated. The principle of egocentric love was first found in a perfectly holy and glorious angel called Lucifer (Ezekiel 28:13-19). In spite of the fact that he was acquainted with God’s wonderful unselfish everlasting love, infinite wisdom, and goodness as no other of God’s holy creatures, somehow he started to cherish a tiny little thought about his own beauty, wisdom, and vindication until it conceived and ended up in an open rebellion. He could come with this problem to God who still loved him and would heal him, but instead he decided to take a risk, separate himself from God, and built his own kingdom based on the principle of self-love. After deceiving himself Lucifer also deceived other angels brainwashing them with the false idea that they would be much happier living according to his new rule of life, concentrating on self and living an independent from God eternal life. Unfortunately, although God new what would be the result of that new virus-like way of life, He could not destroy Lucifer and his followers simply because if He did that then the pure love and devotion of the faithful angels and other holy inhabitants of the universe would had been contaminated with fear. So, it was in order to demonstrate the results of the life based on Lucifer’s principle of self-love that God didn’t destroy this rebellious angel and his followers but let them continue their egocentric existence for some time and show how horrible are its consequences. 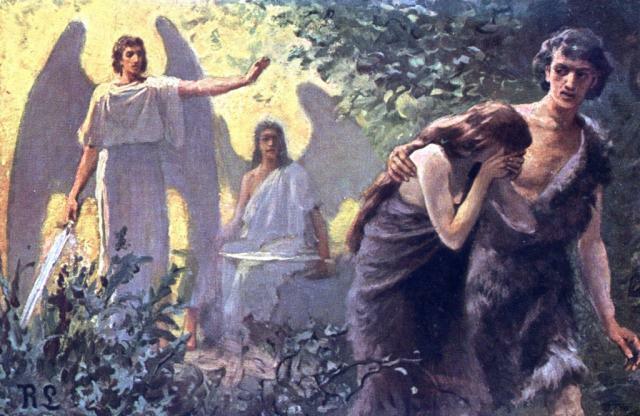 Of course, God might have created Lucifer as well as Adam and Eve, who were later deceived by the rebellious angel, without a free will or the ability to rebel against Him. He could have programmed them enforcing an eternal obedience. Unfortunately, on the other hand, God could not do it simply because in that case they would have been only like a robots programmed to serve and obey their Maker. The only type of service God can accept is the service of true and uncompelled love based on the freedom of choice. Without such freedom, the obedience of His created beings would not have been voluntary, but forced, and thus they wouldn’t be able to truly love Him. Unfortunately, both Lucifer as well as our first parents who later followed the rebellious angel abused the freedom of choice given them by God. Originally, also our first parents were created as perfect, most beautiful, and holy beings destined not for animal-based diet, not to be afraid, nor to live a sedentary lifestyle. Instead they were created to use only unrefined plant-based fuel, they were intended to be physically active, and to live forever, to enjoy life, to be peaceful and free from any kind of fear, and finally to enjoy constant communion with their loving Creator. At that time, living such peaceful and perfectly holy life was for them something extremely easy and natural because they enjoyed the fullness of Holy Spirit and God’s unselfish agape love that dwelled in them. At the same time they were free from any taint of the selfish and sinful nature or tendencies to disobey God’s commandments. Unfortunately, the originator of selfishness – Lucifer – managed to deceive and infect our first parents with the principle of self-love. And, as a result of their rebellion against God, they had lost the indwelling Holy Spirit. In addition, they also lost the love of God they originally had in their hearts. And, as soon as they decided to believe Lucifer instead of God they chose the Lucifer’s way of life and for this reason the God’s unselfish love which filled their hearts was now replaced with self-love. Without Holy Spirit and agape love they became ‘darkness’ and their nature had become depraved and bent toward self and evil. And, because we all are just a multiplication of their degraded lives, we also are born as ‘darkness’: “For you were once darkness, but now you are light in the Lord” (Ephesians 5:8). It means that we come to this world deprived of Holy Spirit and unselfish agape love, we are born with the indwelling ‘law of sin’ and natural egocentric propensities, which later tend to ruin our spiritual, mental, and physical health by forcing us to indulge appetite, to abuse our natural sexual desires, to choose a sedentary lifestyle, and to live an independent from God and thus stressful and full of fear and anxiety life. If you can’t see any apples on an apple tree, does it mean that it is not an apple tree? Of course it is an apple tree even though there are no apples on it. Fruits do not make apple trees they only prove or confirm what type of trees they are. 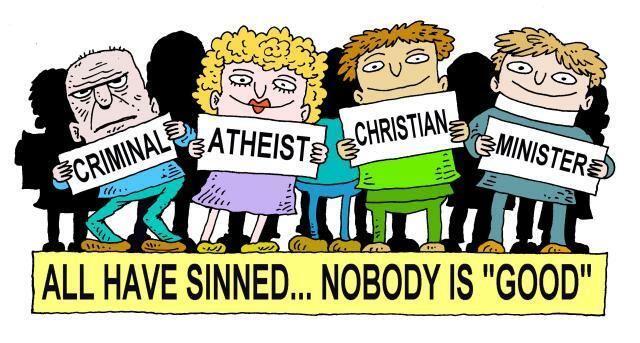 Likewise, in our case, even if today we haven’t yet committed any sins, it doesn’t mean we are not sinners, because our sins don’t make us sinners. Our sins (bad fruits) only prove or confirm that we are corrupt by nature. “The same divine mind that is working upon the things of nature is speaking to the hearts of men and creating an inexpressible craving for something they have not. The things of the world cannot satisfy their longing. The Spirit of God is pleading with them to seek for those things that alone can give peace and rest. Through influences seen and unseen, our Saviour is constantly at work to attract the minds of men from the unsatisfying pleasures of sin to the infinite blessings that may be theirs in Him. To all these souls, who are vainly seeking to drink from the broken cisterns of this world, the divine message is addressed, ‘Let him that is thirsty come. And whosoever will, let him take the water of life freely’ (Revelation 22:17). You who in heart long for something better than this world can give, recognize this longing as the voice of God to your soul. The more you struggle to escape, the more you realize your helplessness. Your motives are impure; your heart is unclean. You see that your life has been filled with selfishness and sin. You long to be forgiven, to be cleansed, to be set free. Harmony with God, likeness to Him – what can you do to obtain it? It is peace that you need -Heaven’s forgiveness and love in the soul. Money cannot buy it, intellect cannot procure it, wisdom cannot attain to it; you can never hope, by your own efforts, to secure it. But God offers it to you as a gift, ‘without money and without price’ (Isaiah 55:1). It is yours if you will but reach out your hand and grasp it. The Lord says, ‘Though your sins be as scarlet, they shall be as white as snow; though they be red like crimson, they shall be as wool’ (Isaiah 1:18); ‘A new heart also will I give you, and a new spirit will I put within you’ (Ezekiel 36:26). You have confessed your sins, and in heart put them away. You have resolved to give yourself to God. Now go to Him, and ask that He will wash away your sins and give you a new heart. Then believe that He does this because He has promised. A life in Christ is a life of restfulness. There may be no ecstasy of feeling, but there should be an abiding, peaceful trust. Your hope is not in yourself; it is in Christ. Your weakness is united to His strength, your ignorance to His wisdom, your frailty to His enduring might. So you are not to look to yourself, not to let the mind dwell upon self, but look to Christ! Let the mind dwell upon His love, upon the beauty, the perfection, of His character… Looking to Christ you are safe”. “For God has not given us a spirit of fear, but of power and of love” (2imothy 1:7). “So we know and rely on the love God has for us. God is love. Whoever lives in love lives in God, and God in him. There is no fear in love. But perfect love drives out fear, because fear has to do with punishment. The one who fears is not made perfect in love. 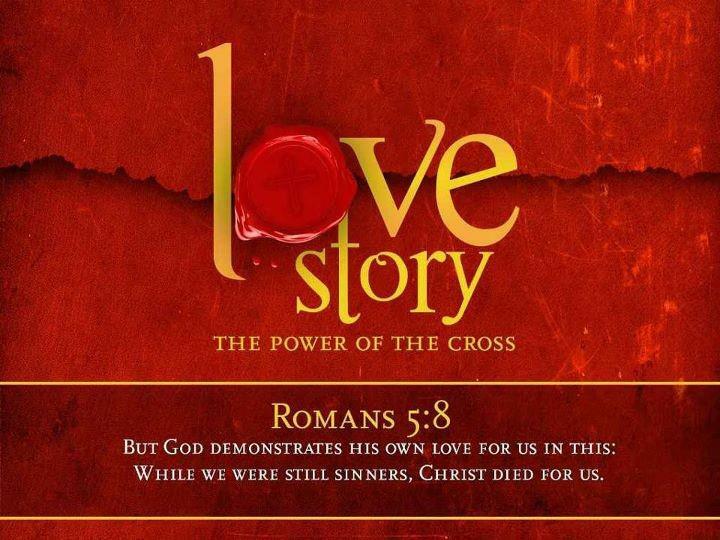 We love because he first loved us” (1John 4:16). But, does the fact that the whole world was included in Christ and therefore we were all saved in Him on the cross mean that every sinner will be eventually saved? No, because this salvation in Christ is a gift, and as it is with any gift, in order to make this salvation effective we still have to accept it. Let us say I have a birthday today and I also have a rich, good and loving father, who in spite of the fact that I was a prodigal son, he forgave me, paid all my huge debts, and in addition bought for me a new house by the sea, a brand new car, and some other wonderful gifts. Everything is already paid, it is a true fact, and it is waiting for me. But, in order to enjoy it I still have to do something? I have to accept it. Do I have a choice? Can I reject it? Yes I can, because my father loves me and he wouldn’t force me to accept his gift. Likewise, because salvation is also a gift, then in spite of the fact that our huge debt is already paid, and even though the gift of salvation is already prepared for all of us in Christ and waiting for us since 31 AD, we still have to accept it through true faith in order to enjoy it and make it effective in our lives. But, again you may say, “But, there are millions of so called Christian who are hypocrites, who only say they believe in Jesus and accepted the gift of salvation, but their lives are not changed. Do you mean they also will be saved?” And the answer is again, No! No, because Christian actors or Christian pretenders, although they were also included in the cross of Christ and saved by God in Jesus, won’t be actually saved, simply because only genuine faith and acceptance of God’s gift will eventually make the salvation effective. In fact, it is not so difficult to know whether someone is a true or false believer because genuine faith always results in the new birth and brings the fruits of the Holy Spirit such as especially God’s unselfish agape love (Galatians 5:22-23). True faith and acceptance of God’s gift always opens the door for Holy Spirit to dwell in all true believers empowering them and gradually transforming their characters, and changing their attitudes, lifestyles, and life priorities. So, let us say that you have already accepted this amazing God’s gift of salvation and the history you have in Jesus with true faith, and that you ‘have passed from death to life’ and are saved now. But, unfortunately, as you rejoice and continue to live your daily Christian life, you notice that in practice your life is not yet holy and that you still disobey God from time to time. As a result you get discouraged and start to doubt that your conversion and faith is genuine. In this case, what you need to know is that although your faith is true and even though you are a really converted person, it doesn’t mean that you will never sin. This is so because the Holy Spirit’s work of renewing and transforming your character is an ongoing, constant, continual, and progressive process which will last until your death or the second coming of Jesus. Of course, Holy Spirit is able to change us immediately but according to God’s wise plan, the effectiveness of the transforming work of Holy Spirit in us depends on the strength and stability of our faith. Unfortunately, our faith is not a law, it is not yet constant or stable. And that is why from time to time, especially when we go through painful experiences and get discouraged, the enemy of souls manages to weaken your faith and as a result you may fall again. This, however, doesn’t mean you become unsaved again! No, because the Bible says that we have already died with Jesus and were punished for all our sins (including the future ones). It means that if you truly accepted your salvation history you have in Christ, then you have been freed from the law (Romans 7:6). The law, therefore, doesn’t have power over you anymore, it can’t condemn you, punish you, nor tell you that the wages for your new sins is death! (Romans, 7:6; 8:1). This fact, however, doesn’t mean that the law was nailed to the cross. No! The law is as holy as God is and it is immortal and therefore it couldn’t die! (Matthew 5:17-20; Romans 7:12, 14). God suffers every time we disobey His holy law. And it is still His greatest desire that you submit your mind to Holy Spirit and through His power stop braking God’s ten holy Commandments! But in order to achieve this goal first you need to understand and accept the wonderful freedom God already granted you in Christ! It wasn’t the law but you who was nailed with Jesus to the cross! (Romans 7:4). And for this very reason, because you died and was already punished according to the demands of this law for all your sins (including future ones), the law doesn’t have any reason now to bug you anymore! No law attempts to punish again a criminal who was already punished! “But by God’s doing you are in Christ Jesus, who became to us wisdom from God, and righteousness and holiness, and redemption” (1Corinthians 1:30). “If you accept Christ as your Saviour, then, sinful as your life may have been, you are accounted righteous. Christ’s character stands in place of your character, and you are accepted before God just as if you had not sinned!” (Steps to Christ, The Test of Discipleship, p 62). Let us say I am a converted Christian, but I haven’t yet learned to live by the Spirit continuously. And, even though I don’t want to sin and I gave my heart to Jesus, sometimes, especially when I go through some difficulties I get discouraged and I sin. Am I still under God’s grace after I sin? Or, as soon as I sin God puts me under the law and condemnation again, which means I am once more unsaved until I confess my sin? Do I remain saved in spite of my occasional sins, or any time I commit a new sin God allows the law to keep condemning me again until I truly confess it? Unfortunately, the idea according to which true believers become condemned and unsaved again whenever they commit new sins until they confess them, has robbed many sincere believers of joy, peace, and assurance of salvation. But please do not misunderstand me, because I am not talking about unconverted actors, legalists, cheap grace type of Christians, fake believers, or those who keep on sinning against Holy Spirit. I am talking about a genuine and born again Christians who gave their hearts to God, but who sometimes sin as a result of difficulties, discouragement and temporarily weakened or wavering faith. Such Christians, even when they occasionally sin, they constantly stay under the umbrella of Christ righteousness, and nothing, including, devil, sin, nor second death can touch them! And, because of this they can enjoy constant peace with God, and have proper motivation to serve Him and confess their sins. They never do it because they are afraid to die, but because God’s goodness (God’s love) leads them to repentance (Romans 2.4). By the way, this wonderful freedom we have in Christ was the only way God could deprive us of our selfish motivation in confessing our sins. If we do not experience this freedom we always tend to confess our wrongdoings out of fear of punishment or desire for reward, and this kind of confession can’t be accepted by God. Have you ever heard about a mother who whenever her small child, who is learning to walk, falls gets angry and says: “I have enough of you falling every time you try to walk! Get out of my house!” No normal mother would treat her learning to walk child in this way, so how can we think that God whose love is much superior to any mother’s love, rejects and condemns us every time we fall while learning to walk by the Spirit? God knows that by nature we are accustomed to sin and that now we need time to exercise and develop our faith, and learn to trust and submit our will and mind to the Holy Spirit. For this reason our loving God is patient and waits in hope that we will keep on making progress in developing our faith and trust in His transforming power. The problem, however, starts when we – the disciples of Jesus – are learning to live by the Spirit and obey God’s holy commandments for ten, twenty, thirty or fifty ears never making any progress and still keep on remaining only babies in Christ who continue coming to God with tears asking Him to change diapers or nappies again and again! Would you like changing nappies of a child for 20, 30, or 50 years? So, let us not use this wonderful truth of salvation in Christ to cover our unbelief, to condone repeating same sins or excuse our carelessness and unwillingness to strengthen our faith through prayers, communion with God, and studying His Word! The wonderful good news according to which salvation is a free gift doesn’t mean that because as believers we are now being constantly covered by Christ’s holiness and therefore, the law can’t condemn us any longer (Romans 6:14; 7:6; 8:1) we can feel free to live according to the desires of our sinful natures. One of the Bible commentaries says that if we, as Christians, feel at ease under sin, it means that the spirit which is in us does not come from the Holy Spirit! Such careless attitude only proves that this person hasn’t even yet accepted God’s gift of salvation, hasn’t yet experienced the new birth, and therefore is still deprived of the inward presence of Holy Spirit and agape love. 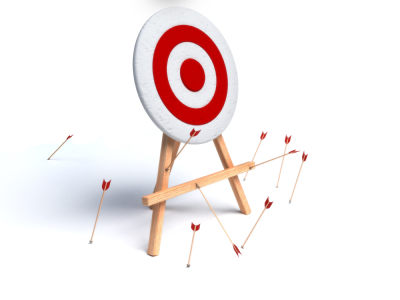 Nevertheless, whatever problems we experience as Christians, it is never God’s fault, but they are always the result of our unbelief, negligence or carelessness. “I tell you the truth, whoever hears my word and believes him who sent me has eternal life, will not be condemned; and he has crossed over from death to life” (John 5:24). Unfortunately, those who are not acquainted with this truth, think that in order to be saved they first have to confess their sins, repent, turn from them, be good, and then if they also truly believe in Jesus they can be saved. But, if that is true then salvation wouldn’t be a free God’s gift anymore but it could be achieved by our own efforts, and our repentance. Such concept, however, according to the Bible, would be a heresy. Because of this we need to answer the question, what according to God’s concept of salvation comes first, repentance or salvation? According to apostle Paul not repentance but salvation comes first as he wrote that two thousand years ago, whether anybody repents or not, God already “was in Christ reconciling the world to Himself, not imputing their trespasses (sins) to them”! (2Corinthians 5:19). It means that God already in His Son saved the whole world and forgave sins of all sinners, not only past but also present and future ones! There is no text in the Bible which says that through the cross of Christ God forgave us only our past sins or the sins we committed before our conversion. That is why in Romans 2:4 Paul made it clear that it is “the goodness of God which leads us to repentance”. So, it is not our repentance that is supposed to lead us to God’s goodness, acceptance, and forgiveness, but it is God’s goodness, His great love revealed in saving us sinners through Jesus which comes first and then when we experience this love it leads us to repentance! Likewise, also God deals with us in exactly the same way. He knew that by nature we tend to be proud, stubborn, self-righteous, and unwilling or even unable to live according to the principle of His self-sacrificing love. For this reason, therefore, He first paid for us with the precious blood of His Son (1Peter 1:18-19) and set us free from under the law (Romans 7:6) and condemnation (Romans 8:1). And only then, when we see this great love, we are touched, and with tears in our eyes we are willing to confess our sins and want to serve this wonderful God forever! Besides, what is very important to God, now being saved we don’t want to serve Him and confess our sins out of fear any more or in order to be saved, but because we have experienced His love and goodness. 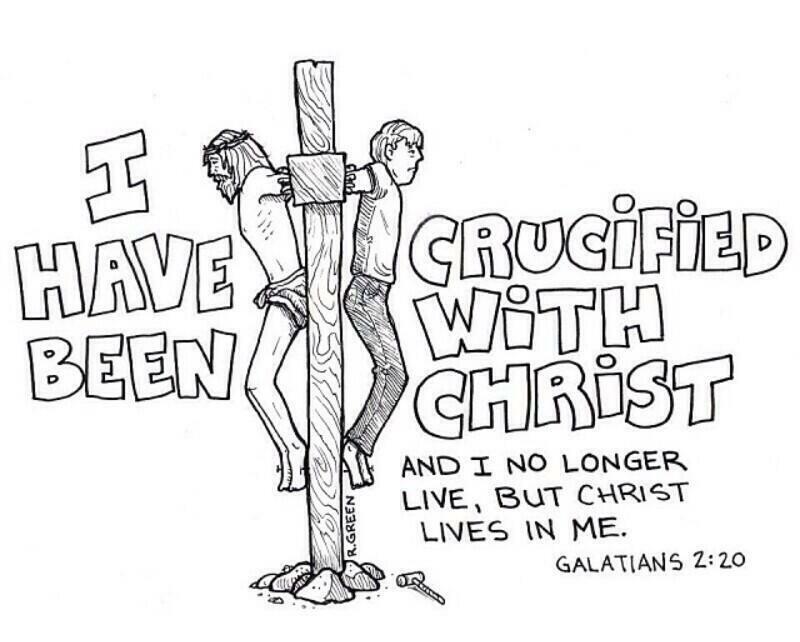 It means that now we are finally able to repeat the words of apostle Paul: “For to me, to live is Christ and to die is gain” (Philippians 1:21); “But God forbid that I should boast except in the cross of our Lord Jesus Christ, by whom the world has been crucified to me, and I to the world” (Galatians 6:14). 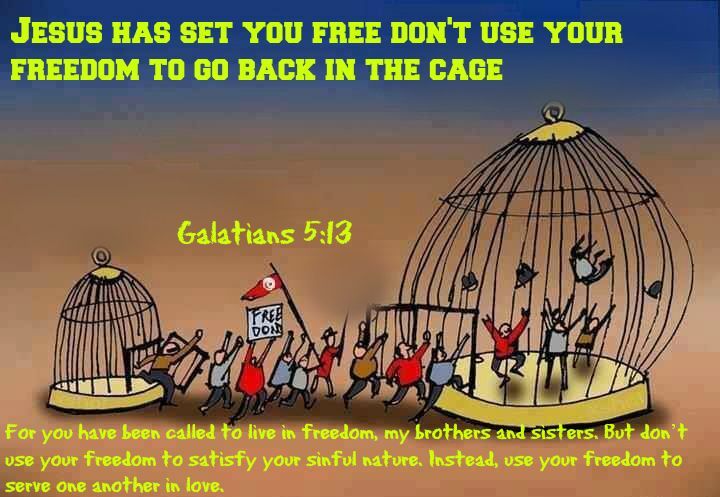 That is also the only way to the new birth experience, and true freedom from slavery to sin. If we first accept the historic fact of our salvation in Christ through genuine faith, then we experience the new birth, which means that since that time on Holy Spirit should dwell in us. And, although it doesn’t mean we are already free from our egocentric and corrupt nature, yet now the indwelling Holy Spirit can empower us, and enable us to control our old corrupt law of sin. 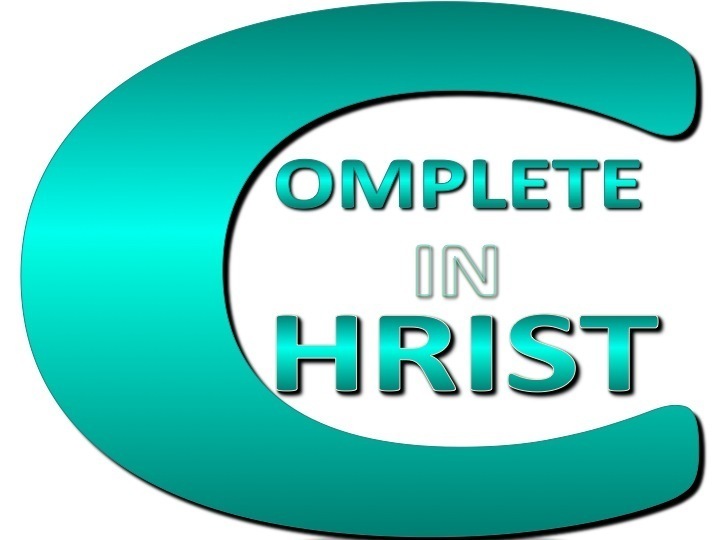 The greatest desire of all converted and true believers who are already saved, forgiven, and who enjoy the constant and wonderful peace with God through faith in Jesus is now to stop sinning and hurting God with their misbehavior, sins, and occasional signs of selfishness. They don’t want to do it anymore because they now love their wonderful God and know that He hates sin and suffers whenever they break His commandments. They don’t want to live this holy life in order to save themselves through it because they know they were already saved in Jesus on the cross and they accepted this gift which was waiting for them in God’s treasure house for over two thousand years. They desire to “follow the Lamb wherever He goes” out of love and appreciation, and also because now Holy Spirit, who dwells in them, creates in them this desire. The problem, however, is that apart from the Holy Spirit they still possess the fallen nature including the law of sin or the principle of selfishness from which they will be set free only at the second coming of Jesus. “For I have the desire to do what is right, but not the ability to carry it out. For I delight in the law of God, in my inner being, but I see in my members another law waging war against the law of my mind and making me captive to the law of sin that dwells in my members. Wretched man that I am! Who will deliver me from this body of death? But, thanks be to God through Jesus Christ our Lord! So then, I myself (autos ego) serve the law of God with my mind, but with my flesh I serve the law of sin”. When we read this passage we get the impression that according to Paul it was impossible for a Christian to live by the Spirit (to stop sinning). But, on the other hand, we know he couldn’t mean that as it would contradict his teaching concerning Christian obedience found in many other places. So what did he mean here in Romans 7:15-25? When we read this part carefully and in the context, we realize that Paul only meant here that any sinful human being, including even a converted Christian, is not able to overcome the law of sin whenever he tries to do it apart from Holy Spirit, using only his will power. In other places of the New Testament, whenever Paul talks about Christian obedience to God he always vindicates the work of the Holy Spirit in believers, but here he never mentions even one word about Holy Spirit, although he speaks about Christian life! It is obvious, therefore, that he is talking about our own efforts to live a holy life without relying on the power of the Holy Spirit. It has to be exactly what he meant because in the very next chapter of the same book of Romans he tells us a totally different story saying that, ”if by the Spirit we put to death the deeds of the body, we will live” (Romans 8:13). Suddenly, what was impossible in Romans 7 becomes possible in Romans 8! Why? Because the Christian in Romans 7 tried to accomplish the victory in his own strength, but in Romans 8 he is suddenly victorious because now he does the same by the power of the indwelling Holy Spirit, or as a result of living by the Spirit! This, however, means that if we want to stop hurting God, and start making fast progress in our attempts to live a holy life, we have to understand what does Paul’s expression “living by the Spirit” mean, and how to put it into practice. In Galatians 5:16 Paul tells us, “Live by the Spirit, and you will not gratify the desires of the sinful nature”. He clearly states here that if we only learn to live by the indwelling Holy Spirit then we will be able to stop sinning! That is indeed a very good news, but in order to understand it we have to find out what this “living by the Spirit” is all about. “Those who live according to the sinful nature have their minds set on what that nature desires; but those who live in accordance with the Spirit have their minds set on what the Spirit desires”. It is your mind which is the battle ground of constant war between the Spirit and your sinful nature (the law of sin in you)! The law of sin forces you to submit your mind to it and the Spirit is asking you to submit your mind to Him. So, what does the living by the Spirit mean according to this verse? It means to surrender our will to the Holy Spirit! It means to allow Holy Spirit to take over your mind and control your thoughts, your emotions and feelings! That is why it is so important to never rely on our own strength but every day in prayers we should surrender our minds and lives to Jesus asking for Holy Spirit to rule in us and control our thoughts! And, whenever you do it, thank God immediately for answering your prayer because it is according to His will and because He promised this to all who believe! This is, by the way, what does to ‘live by faith’ mean, and it is also the key to the victorious life. But, first of all, please make sure that you are a truly converted believer as only such person is able to learn how to live by the Spirit, simply because, as it was previously explained, only those who truly accepted the gift of salvation, and as a result became born from the Spirit can enjoy the presence of the Third Person of the Godhead in them. How can we learn to live by Someone who is still not even present in our life? Now, if you are a really converted believer, the next truth you need to know is the fact that the Holy Spirit who dwells in you is much stronger than even the law of sin, which is also in you and which evil powers used to tempt you and knocked you down so many times in your former life! Holy Spirit already proved His superiority over the law of sin in the life of Christ who in spite of fighting against the same power never sinned, and never became selfish even in His mind. Our Lord gained total victory over the law of sin because throughout all His life His faith was unchangingly strong and because He always kept submitting His mind to the Holy Spirit who dwelled in Him. However, if our Lord was able to live perfectly victorious life in the same nature we have, then we need to answer the question, why we don’t follow His example, in spite of the fact that the same power of Holy Spirit is available to us too? Why do we sometimes cease to live by the Spirit and instead of submitting our minds to the Holy Spirit we again, from time to time, submit our minds to our sinful natures? Why unlike Jesus we are not continuously living by the Spirit? It is not so difficult to understand it when we take into consideration the fact that the law of sin which is in us we have by nature, and it is a constant force living in us and pulling us toward sin, but the law of the Spirit is a gift we have by faith. It means that the working of Holy Spirit in us depends on what? On our faith! But, is our faith always strong and stable? Unfortunately not, or not yet. Sometimes it gets weak, especially when like the disciples of Jesus in Gethsemane, we fall into spiritual sleep instead of watching and enjoying the living communion with God and Jesus who is our only source of spiritual strength and without whom we ‘can do nothing’ (John 15:5). And, whenever we neglect to charge our spiritual batteries, and thus becoming unprepared to meet temptations, and difficulties or problems, we easily get discouraged. As a result our faith is weakened and we fall. For this reason, living by the Spirit is not only synonymous with submission of our mind to the Holy Spirit but it also means to live by faith! It is so because the working and effectiveness of Holy Spirit in us depends on our faith or our ability to accept His supervision. That is why Paul tells us that “the just shall live by faith” (Romans 3:17). It means that those who are already justified by faith in Jesus and are regarded as just and saved, do not try now to live a holy life by their own strength, but instead they claim God’s promises of transforming their characters through the Holy Spirit. They believe in fulfilment of these promises with all their hearts, and already praise God for fulfilling them even before they see any evidence in their own lives! That is what does to live by faith mean. However, in order to be able to live like that, we need a strong and stable faith, the same faith our Lord had, and through which He overcame sin in our nature and in spite of powerful Satan’s temptations. For this reason Paul prompts us to „fight the good fight of the faith” (1Timothy 6:12). We need to exercise our faith, to take care of it, to use every provided by God opportunity to strengthen it by prayers, studying the Bible, participation in worship services, and prayer meetings, through sharing this wonderful good news of salvation in Jesus with other lost sinners, etc. It is extremely important because, although this faith doesn’t save us, yet any gift or value we have from God as Christians we have it through faith. It means that as soon as we lose our faith we lose all God’s gifts too, including salvation. So, let us be wise, sober, watchful, and keep on ”fighting the good fight of faith”, remembering that according to Hebrews 6:4-6 we can always lose it, even though now we may be converted and feel strong in faith. “When Christ took human nature upon Him, He bound humanity to Himself by a tie of love that can never be broken by any power save the choice of man himself. Satan will constantly present allurements to induce us to break this tie – to choose to separate ourselves from Christ. Here is where we need to watch, to strive, to pray, that nothing may entice us to choose another master; for we are always free to do this” (Steps to Christ, 72). When I was about 13 or 14 year old boy, during one hot summer holiday I went to visit one of my sisters. Her husband was at that time one of the best goalkeepers in Poland and he actually played in Polish national football team. So, because he had a lot of money he gave me a pair of Adidas trainers as a gift. And I have to tell you that at that time Poland was under communism so only rich people could afford Adidas trainers. Besides, I myself loved football, so to me it was a wonderful gift. I didn’t have to earn it, and even if I wanted I wasn’t able to pay for it as it was too expensive, and I didn’t even had any money. It was just a totally free gift. So, all I had to do in order to enjoy the gift was to accept it and say ‘thank you’. But! There was one more condition I had to fulfil in order to enjoy the gift permanently. I had to guard and protect it against thieves. And I tell you, there were many of them in communist Poland at that time. Being aware of that danger, the very next and hot summer day I put on my precious Adidas trainers and proudly went to a local swimming pool. As soon as I arrived, I took off the trainers, and jumped into water. And in spite of the fact that I was under water for a very short time, yet as soon as I got out of the water I was horrified. My costly free gift was gone! I was looking for it in a panic trying very hard to find it with fear in my eyes, but in vein. It was irretrievably lost and stolen by a cunning thief who probably followed me waiting until I left my trainers unwatched. As a result I had to leave the swimming pool barefoot and very depressed. I am sure nowadays it is possible to find quite good and still usable shoes in local rubbish bins, but at that time in the very poor communism Poland all I could find was a pair of dirty, full of holes, very worn out, and way too big pair of old ugly shoes. I wasn’t very happy to publicly present myself wearing such footwear, but had no choice as the pavement was too hot to walk barefoot, so finally I put on those filthy shoes and forced myself to slowly walk back home gloomy, depressed, and ashamed. Our salvation from sin and eternal death is also a free gift which was already paid for and prepared for every hopeless and poor sinner two thousand years ago. It was also impossible for us to earn it because in order to buy it we would have to pay with perfect holiness and eternal death. 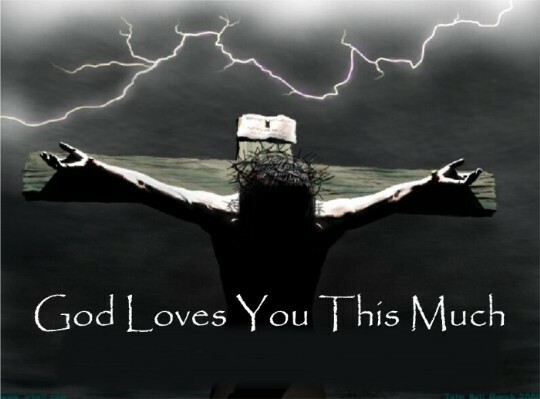 For this reason, God already paid for it with the perfection and the precious blood (death) of His only Son. It is already done and because it is a totally free gift from our loving God, everything you can do is to accept it with a graceful heart. But! If you already accepted this most precious free gift there is still one more condition you have to meet in order to permanently enjoy it. Because you still live in the territory ruled by a most crafty and furious thief ever known you have to carefully guard, watch, and protect your gift and “work out your salvation with fear and trembling” (Phil 2:12). Why do you need to protect and to guard the salvation you already have in Christ? You need to guard it because you have it through faith. And can you lose your faith? O yes, you can! I myself know people who used to be Christians and even enjoyed salvation they received from God as a gift but in their carelessness they allowed their enemy to ruin their faith and steal their precious gift of eternal life. Satan was so successful in depriving them of faith that now most of them don’t even believe anymore that God exists. Like Esau who sold his birthright for a bowl of soup, they allowed the thief to steel their salvation and peace through their constant spiritual negligence. For this reason, and because you have the gift of everlasting life through faith you need to keep your faith as strong as possible. Be wise then and every day empower your faith through studying God’s Word, prayers, worshipping God, sharing faith with other believers, witnessing God’s great love, and constantly looking at Jesus. There is another important thing you need to understand if you already are or will become in the future a born again believer and follower of Christ. You need to keep in mind that spiritually you are no longer now a citizen of this world but you are a citizen of the Heavenly Kingdom (John 15:18-19). It means that you openly turned against the dominion of Satan’s sick ego. Unfortunately, in spite of the fact, you will still have to live for a time in this sin-polluted and ruled by this selfish tyrant world. And, because you have accepted Jesus as your Lord and Saviour Satan and his evil angels will do their best to use any opportunity to make your life miserable in order to discourage you by tempting you to believe that God doesn’t love you anymore nor care for you. In this way the devil wants to ruin your faith, because by it you are saved, and because without this faith you won’t be able to live a new life. Most of the time you will go through such difficulties, trials, and suffering as a result of your own carelessness and negligence of prayer and communion with your Lord, but sometimes God Himself will allow your enemy to tempt you and trouble you with difficulties and painful situations simply because it is through sufferings that God can develop your patience and faith in Him in spite of problems (Romans 5:3; James 1:3). Apart from that, in this way, God also wants you to have a privilege to ‘participate in sufferings of your Saviour’: “I want to know Christ and the power of his resurrection and the fellowship of sharing in his sufferings, becoming like him in his death” (Philippians 3:10). Yes, even as a true Christian you may and will experience temporary sufferings, but never give up on Jesus in spite of anything! Never become foolish enough to leave the One who is the only source of true peace, joy, and unimaginably beautiful and breathtaking eternal life, because as soon as you deliberately, wilfully, persistently and ultimately say ‘no’ to Christ, then there is another power which is eagerly waiting for the opportunity to enter you and control your mind, emotions, and your whole life (Matthew 12:45). You will deceive yourself if you will ever think you can be your own master and live a totally independent life in this world. The truth is that you can either belong to Jesus or devil, and there is no other option. Recently I’ve read an interesting story which took place during the Civil War. It says about certain fellow who decided to remain neutral and didn’t want to choose sides and fully join either of the two opposite armies. So in order to achieve his goal and reflect his point of view he put on a gray pants and blue shirt. As a result both sides regarded him as a traitor or enemy and started to shoot at him. If you reject God’s gift of freedom from condemnation and eternal death through Christ, and refuse Jesus to be your Saviour and Lord, then God can’t save nor protect you anymore. At the same time, by doing this you may make devil satisfied for a time, and he may leave you alone. But, because he has fallen into his own trap of self-dependence and selfishness and as a result became a perfectly heartless, unpredictable, unreliable, cunning, brutal, insensitive, and cold-blooded murderer and sadist, he will not live you alone permanently. Sooner or later he will come to you again, enter and possess you together with other evil spirits (Matthew 12:45) thus making you his own slave and forcing you to fulfil his own selfish purposes. And, as soon as he uses and exploits you, and sees you are useless, he will do to you the same he did to Judas or millions of other poor sinful human beings who carelessly sold their souls to him for a momentary and perishable fame, riches, popularity, and sensual pleasures. So, please keep in mind that living in enemy territory you may experience many moments of moral and spiritual trials involving sufferings, all the more since your ‘fight of faith’ against the indwelling law of sin will continue until the glories time when our Lord returns (Mathew 24:30) and set you free from your sinful nature forever. “For as we share abundantly in Christ’s sufferings, so through Christ we share abundantly in comfort too” (2 Corinthians 1:5). “During the days of Jesus’ life on earth, he offered up prayers and petitions with loud cries and tears to the one who could save him from death, and he was heard because of his reverent submission. Although he was a son, he learned obedience from what he suffered and, once made perfect, he became the source of eternal salvation for all who obey him” (Hebrews 5:7-9). “Jesus accepted humanity when the race had been weakened by four thousand years of sin. Like every child of Adam He accepted the results of the working of the great law of heredity. What these results were is shown in the history of His earthly ancestors. He came with such a heredity to share our sorrows and temptations, and to give us the example of a sinless life. Satan in heaven had hated Christ for His position in the courts of God. He hated Him the more when he himself was dethroned. He hated Him who pledged Himself to redeem a race of sinners. Yet into the world where Satan claimed dominion God permitted His Son to come, a helpless babe, subject to the weakness of humanity. He permitted Him to meet life’s peril in common with every human soul, to fight the battle as every child of humanity must fight it, at the risk of failure and eternal loss. The heart of the human father yearns over his son. He looks into the face of his little child, and trembles at the thought of life’s peril. He longs to shield his dear one from Satan’s power, to hold him back from temptation and conflict. To meet a bitterer conflict and a more fearful risk, God gave His only Son, that the path of life might be made sure for our little ones. Herein is love. Wonder, O heavens! and be astonished, O earth!… Never can the cost of our redemption be realized until the redeemed shall stand with the Redeemer before the throne of God. Then as the glories of the eternal home burst upon our enraptured senses we shall remember that Jesus left all this for us, that He not only became an exile from the heavenly courts, but for us took the risk of failure and eternal loss. Then we shall cast our crowns at His feet, and raise the song, “Worthy is the Lamb that was slain to receive power, and riches, and wisdom, and strength, and honor, and glory, and blessing (Revelation 5:12)” (Desire of Ages, 49, 131). But Jesus, by struggling against our representative corrupt nature and its inherent law of sin not only took the risk of losing His eternity, but He actually decided to ‘become a curse’ for you and me (Galatians 3:13), experiencing the second death and separation from His Father on the cross, and as a result He died of a broken heart. “It was not the spear thrust, it was not the pain of the cross, that caused the death of Jesus. That cry, uttered ‘with a loud voice’ (Matt. 27:50; Luke 23:46), at the moment of death, and the stream of blood and water that flowed from His side, declared that He died of a broken heart. His heart was broken by mental anguish. He was slain by the sin of the world” (Desire of Ages, 772). Some time ago I was listening to a sermon by Pastor Kenneth Cox who said that when he was on a trip to Jerusalem certain Jewish guide took him down to a cave which was exactly below the place where the temple was situated in Jerusalem. Today a Muslim mosque is standing there. And while they were in that cave the guide showed the pastor a long and deep crack going through the whole length of the rock on the top. And, he asked the pastor whether he knew what caused that crack. The pastor didn’t know so the guide told him that the crack was caused by an earthquake. And then he added something very interesting. He said that in Jerusalem there was only one earthquake reported in the history and this earthquake took place in the spring of 31 AD! “And Jesus cried out again with a loud voice, and yielded up His spirit. Then, behold, the veil of the temple was torn in two from top to bottom; and the earth quaked, and the rocks were split, and the graves were opened; and many bodies of the saints who had fallen asleep were raised” (Matthew 27:50-52). “Do you feel that it is too great a sacrifice to yield all to Christ? Ask yourself the question, What has Christ given for me? The Son of God gave all – life and love and suffering – for our redemption. And can it be that we, the unworthy objects of so great love, will withhold our hearts from Him? He became sin for the race! But what do we give up, when we give all? A sin-polluted heart, for Jesus to purify, to cleanse by His own blood, and to save by His matchless love! And yet men think it hard to give up all! I am ashamed to hear it spoken of, ashamed to write it” (Ellen G. White, Steps to Christ). Nevertheless, I hope that this glorious truth according to which by assuming your nature Christ took the real risk of losing His eternal life, as well as the mind-boggling fact that He decided to say goodbye to His eternal life for you, and finally that He was also willing to suffer for you so much that He died of a broken heart so that you could enjoy the wonderful eternal life, will be enough to inspire you to kneel down, give your whole heart to Him, and be more than willing to suffer for Him either being tempted and refusing to sin or going through difficulties and painful experiences you will encounter in your daily walk with Christ. In summary, let me remind you once again, that in order to be victorious, first you need to truly accept Jesus as your only Saviour, and then submit your mind to the Holy Spirit every day in prayer, asking Him to take over and control your mind, your emotions and feelings. This is the only way to victory over our bad habits, addictions, stimulants, junk food, overeating, sedentary lifestyle, sexual abuse, and any other possible harmful, deep-rooted, and degrading weaknesses and aspects of our life. Finally, if you want to know more about this God’s wonderful plan of salvation as well as other great spiritual truths, please study the Word of God, always humbly asking for Holy Spirit to ‘guide you into all truth’. And if you need a reliable aids and commentaries capable of helping you to understand the Bible better, I recommend to you especially, available online, books by Ellen G. White such as Steps to Christ, Desire of Ages, or Great Controversy, in which the whole plan of salvation is beautifully and faithfully presented including the prophetic events associated with the glorious return of our Lord. “For this reason I kneel before the Father and pray … so that Christ may dwell in your hearts through faith. And that you, being rooted and established in love, may have power, together with all the saints, to grasp how wide and long and high and deep is the love of Christ, and to know this love that surpasses knowledge – that you may be filled to the measure of all the fullness of God” (Ephesians 3:14 – 19).